Clearly, some were very upset with Chief Justice Roberts' deciding vote to uphold Obamacare. As noted in the last post, the Obamacare case was not the first one in which Roberts departed from the other conservative Justices on his Court. In some cases he actually sided with the liberals. In some, he voted with the conservatives, but adopted a less hard-line position. In some, he endorsed a middle ground which literally split the difference between the Court's two ideological wings. More than that, some of these cases were ideologically significant and politically charged. The Chief Justice's vote and position in each of them was less conservative than that of the most conservative Justices. And collectively, his votes and positions evinced more moderation--at least in these cases--than either the conservative or liberal poles of his Court. Let's look at a few examples. Let's start with some cases in which Roberts was part of the majority. Three of the Court's conservative Justices--Scalia, Thomas, and Alito--voted to uphold all (or in Alito's case, most) of the provisions of the Arizona law. According to them, the additional restrictions and criminal penalties imposed on illegal immigrants were within the power of the states to police activities within their borders. The liberal Justices (together with Justice Kennedy) voted to invalidate every challenged provision of the law, but one. They argued that federal immigration law comprehensively regulated the treatment of illegal immigrants and, therefore, preempted any state interference. The Court's most conservative Justices--Scalia and Thomas--voted to dismiss a claim of retaliatory discharge brought by a worker who was fired after he complained that employees were being shortchanged on work-time. The two argued that the Fair Labor Standards Act only protected workers who filed formal complaints, either with a government agency or in court. The liberal Justices (as well as Kennedy and Alito) took the position that oral complaints sufficed. That a worker's person-to-person complaints to his supervisor and to company managers were adequate to trigger the law's protections against retaliation. Justices Scalia and Thomas (together with Justice Kennedy) argued that the entire so-called "Honest Services" law should be invalidated. In a prosecution of former Enron officials, the federal government charged violations of the law for dishonestly serving personal interests at the expense of the company and the individuals the officials were hired to serve. Scalia, Thomas, and Kennedy argued that the law was unconstitutionally vague. The liberal Justices (together with Justice Alito) took the position that, although the law was vague, it was at least clear, and therefore valid, to the extent that it necessarily prohibited bribery and kickbacks. The question before the Court was whether execution by lethal injection violated the Constitutional prohibition of cruel and unusual punishment. Liberal Justices Souter and Ginsburg argued that, because death by lethal injection may involve the avoidable risk of severe pain, it should be disallowed unless proven otherwise. Conservative Justices Scalia and Thomas took a very different position. To them, only "burning at the stake, disemboweling, drawing and quartering, beheading, and the like" were "cruel and unusual" within the meaning of the 8th Amendment. Hence, in their view, lethal injection was perfectly permissible and the question was not even close. 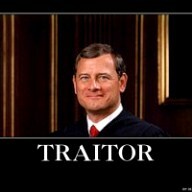 Chief Justice Roberts agreed with neither of those positions. In an opinion announcing the decision of the Court, Roberts upheld the validity of lethal injection, but he did so for reasons midway between those of the most liberal and most conservative members of his Court. The Civil Rights Act of 1964, § 1981, prohibits racial discrimination in contracts, including those involving employment. This case involved the firing of a Black employee. He claimed that he was fired because he had complained to his managers that another Black employee had been fired on the basis of race. Conservative Justices Scalia and Thomas argued that such retaliation against a worker was not prohibited by the civil rights law. Retaliation for complaining about racial discrimination, they said, was not the same thing as racial discrimination itself. As I mentioned in the preceding post, none of this is too suggest that Chief Justice Roberts is something other than an ideological conservative. And a strong one at that. But it undoubtedly does show that he is not uncompromising, rigid, or extreme. Certainly he is not as hard right-wing as other conservatives on his Court. Nor is the point here to say that Roberts' record is better or worse, wiser or more foolish than that of those other more conservative Justices. [Yes, I do happen to think it is better and wiser.] The point is that Roberts' record certainly does suggest some moderation, and it does so in some cases with significant ideological division. In this post, we looked at a few cases in which the Chief Justice either joined or wrote the majority opinion. In the next, we'll look at a few in which he joined or wrote a separate concurrence.